Founder Sarah here. I’m not sure how many of you are aware, but I moved from New York back to Colorado in May 2010. I have left. And it’s hard to say. I didn’t flee because I was sick of the grind, getting too old, or so over Manhattan. Why go, then? Well, I fell in love, I got engaged, and I increasingly dreamt of impromptu Wednesday coffees with my parents and weekends at my brother’s. More and more, leaving the party early felt right. I arrived on my own terms, and I left on my own terms, and that was always the plan. My three-and-a-half years in Manhattan were, I believe, everything anyone moving from far away to fulfill a dream would want. Knowing I’d arrive without a job or place to live — and booking a one-way ticket anyway — forever changed my opinion of what I thought I could do, who I thought I could be. 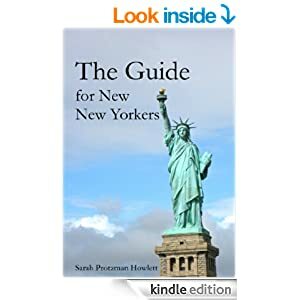 The more I learned about New York City living, the more I discovered my part of it all, the more I was driven to write. And write. And write. I wrote a blog and two books (more on that soon), which led to a steady interaction with so many of you who are building your own versions of the stories I’ve told — plus your own, completely different ones. You are becoming your own NYC experts now. This blog has been my way of holding on to the city when I didn’t want to believe I’d really left. But I’m very happy here, and now I get to watch all of you, over and over again, live out our shared dream. It rocks. The posts are staying up and staying free; that’s what I know for sure. Passing the baton sounds like a lot of fun if and when I find the right person, but I’m not actively looking. I still plan to return to visit, take meetings, visit old haunts and old friends, and — I hope — hang out with some of you readers. In 2010, there were 31 new posts, growing the total archive of this blog to 114 posts. There were 26 pictures uploaded, taking up a total of 3mb. That’s about 2 pictures per month. The busiest day of the year was June 8th with 235 views. 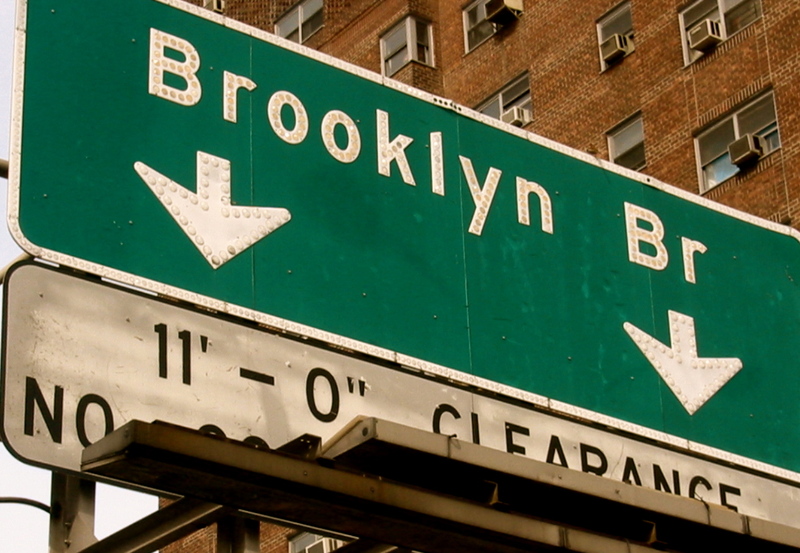 The most popular post that day was “Should I move to NYC without a job?”. The top referring sites in 2010 were facebook.com, twitter.com, newnewyorkers.info, cityroom.blogs.nytimes.com, and raycheerache.wordpress.com. Some visitors came searching, mostly for how to move to nyc, move to nyc, how to move to nyc with no money, moving to nyc without a job, and should i move to nyc. In 2008, I moved from a shared studio (!!) 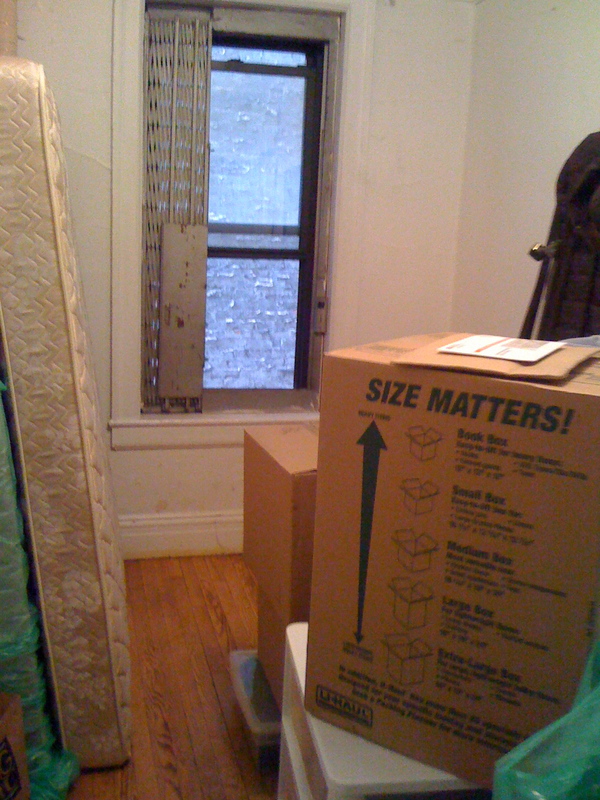 on Madison to my own bedroom in Murray Hill. I didn’t have a friend with a car or family living nearby — thus, it was the most hellish day of that entire year. An image from my actual moving day. Otherwise known as hell on Murray Hill. 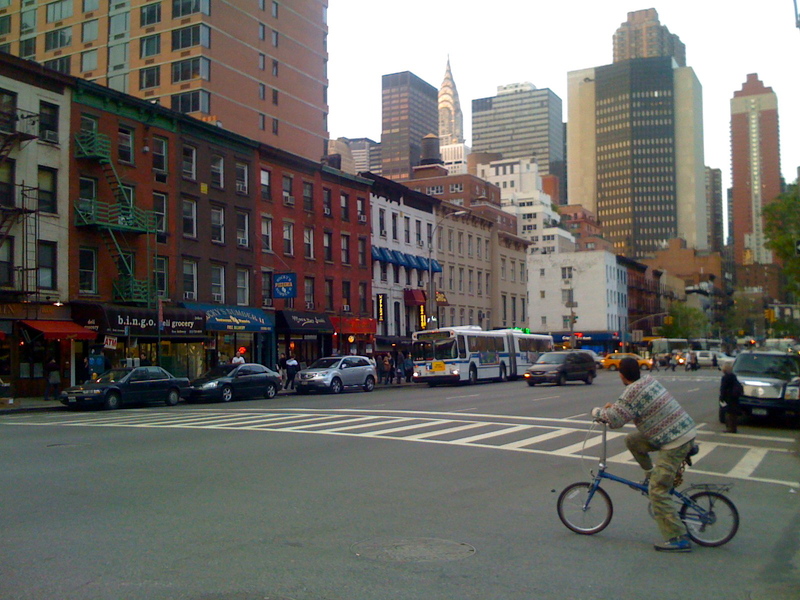 What I did: Lugged boxes from the U-Haul store on the West Side Highway to my studio on 36th and Madison — on the M34 bus. What you should do: Do not pay for boxes — get them from Craigslist (often listed under the free section), the grocery store’s recycling or the street. Look around and you’ll see them everywhere! What I did: Assumed I could move on whatever day I wanted. What I did: Because of the expense, I was anti-movers at first. However, once I mentally took myself through renting and driving a U-Haul on my own through Manhattan (and even possibly hurting someone), I wised up in time. What I did: Failed to consider the cost of moving my mattress. Instead of a few short car trips or cheap cab rides, I hired movers only because of a mattress. What you should do: A cost-benefit analysis. If it was cheap and you’re going a long way with a lot of stuff, consider buying a new one instead of paying to move it. What I did: Dated someone at the time who indeed had a car, but who insisted he had to be somewhere that day and couldn’t help me move. As karma would have it, his car was towed from my street that day. He ended up at a West Side Highway impound lot, only to call me and lament that he wasn’t being allowed to leave (even after paying a hefty fine) because woops, he forgot to renew his license. My friend Katie, who had planned to help me move, graciously agreed to take a cab to the impound lot and drive his car out of the lot. It was a stick. She only knew automatic. It was ugly. What you should do: Eh, OK, so that’s unlikely to happen to you.